Learn how to make simple, one-of-a-kind quilts using large-scale print fabrics! 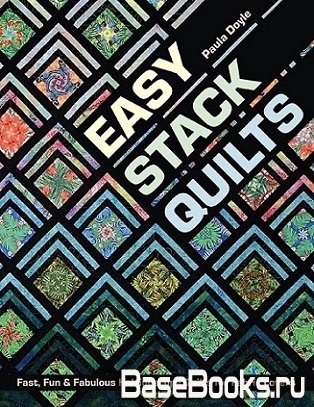 Easy Stack is a quick-cutting, fabric-efficient way of making great quilts that are rotary cut and machine pieced. Using only 4 fabric repeats and easy-to-cut strips, you can create 3 kinds of fun and unique blocks. Then play with 9 setting options?with 4 quilt sizes for each option?to create an endless variety of quilts.